BT is providing its customers with mobile broadband plans for the first time with a range of 12-month data SIM-only packages. 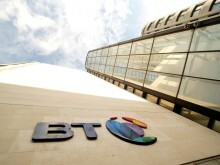 The move forms part of BT’s ‘Best Connected’ plan to provide the best connections, the best service and the best experiences to its customers across the UK. BT’s data SIM-only plans give customers superfast 4G connectivity for tablets and laptops, so they can stream TV, films, music or browse the web on the go. Customers will have the added benefit of being able to access BT Sport for free via the BT Sport App on 6GB plans and higher. Customers on BT Plus*, who take out a BT data SIM-Only plan will benefit from double the standard data per month, giving them access to the most affordable range of SIM-only mobile broadband plans in the UK. Pete Oliver, Managing Director, Marketing, BT said: “We’re working to give our customers the best connections, service and experiences in the UK - and our new mobile broadband plans will keep them connected with superfast 4G on the move. Whether they’re streaming their favourite shows and movies to keeping the kids happy on those long car journeys, our first 4G mobile broadband plans will keep our customers connected while providing great value, along with great benefits like free BT Sport on many of our plans and double data for our BT Plus customers”. BT Mobile SIM-only customers also get a 30-day money back guarantee if they are unhappy with their plans for any reason. Customers can also connect to more than 5 million Wi-Fi hotspots in the UK and 13 million abroad absolutely free, with the ability to roam in 47 EU destinations at no extra cost. For more information about BT’s new mobile broadband plans, please visit www.bt.com/mobile. *BT Plus, the UK’s first converged fibre and 4G plan for BT’s broadband customers, also includes mobile benefits like superfast speeds and a ‘Keep Connected’ promise – allowing customers to keep connected on 4G if they ever have a problem with their home broadband.